JSPR is proud to present its new Steel Cabinet showcase collection. This handmade collection is available in a wide range of shapes and sizes and offers a unique spot to storage and showcase your dearest or valuable belongings. 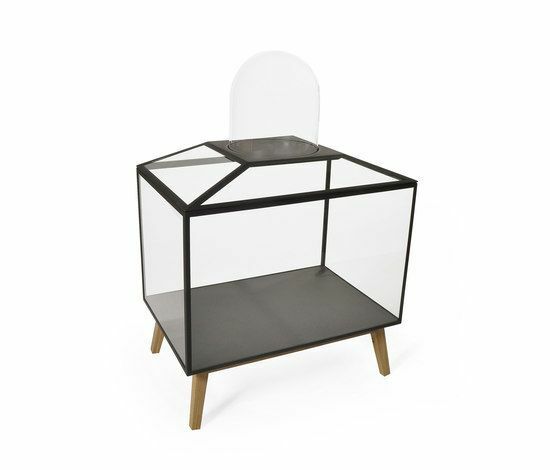 Consisting out of a sturdy powder coated steel frame and completely suited with glass, it gives a quality but fragile look, and makes it fit in every space. Material: Powder coated steel, Glass, Oakwood base On request the cabinets can be suited with locks.